Sooo, I am back in school. I mean, I knew it would come one day, but that doesn’t make it any easier. 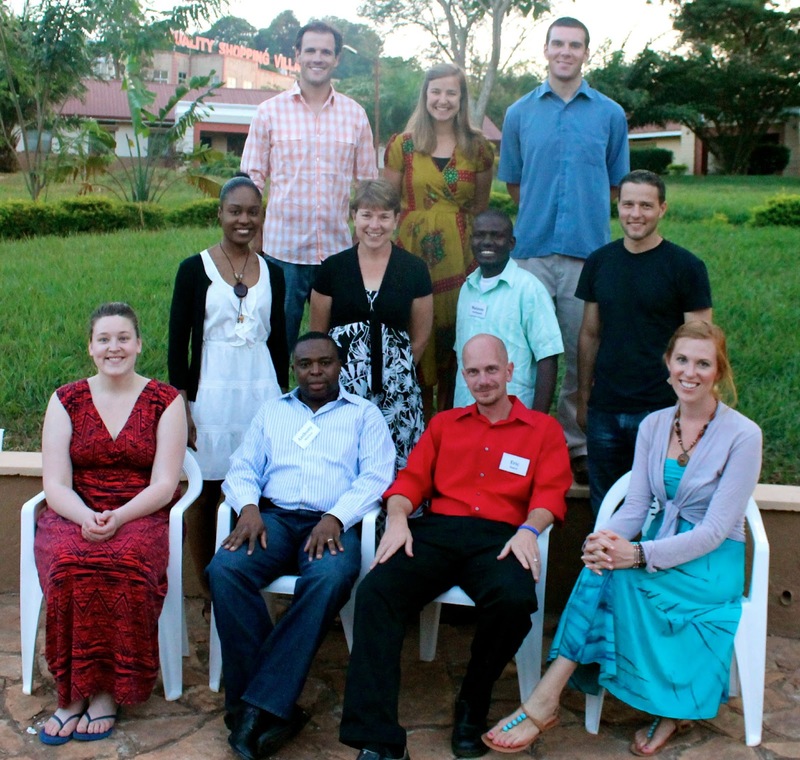 This week I started a three week intensive residency in Uganda, Kampala. Before the residency I had to read, write papers, read, and write more papers. Did I mention the reading? Because I am talking about over a thousand pages. After all of that preparation I am happy to be in residency, in class, and in discussion with an amazing mix of people. I am working on a Master’s of International Development and am sitting in a classroom with American’s working all over Africa, with a Congolese working in the USA, and with a Canadian, and of course African’s working in Africa, mainly Malawi. It has enriched the discussion and has brought a vast amount of experience and culture into one room. What I have learned so far...stay at the table. Our first class was on economic development. It was the class I was dreading the most. It has math, and graphs, and economic theories that have global impact, in differing ways, and scales, and... Does it sound confusing, because it was/is. What I found though was that I could get it, I could figure it out, if I stayed with the material and engaged in the conversation going on in the class at the time. I have been in Tanzania over three years now and I am finding that I make a decent cultural translator. I understand the Tanzanian culture and can explain it to others. AND the other Africans in the room agree with me. Which means I am getting something right. That is only possible because of the dozens of conversations had, meals shared, tears shed, questions asked, and observations made. This may sound like a small thing, but it is kind of a running joke among Africans that interact with Americans about how much we tend to miss, misinterpret, and how many times we generally, unknowingly put our foot in our collective cultural mouth. In full disclosure, I have had my fair share of these moments over the last three years. We learn from our failures as much as our successes. Through all of this I have learned that we need to stay at the table. In all of our discussion, we over and over again returned to relationships. Most of us, while we are studying international economic theory actually work in a small area, with small groups of people. That is where development really takes place. In all of our discussion about how to avoid patronage, how to attract buy in, how to lead in multi-cultural settings, how to do community development the conversation inevitably turned back to relationship building. Relationship building is impossible if you don’t stay at the table. When we don’t learn the language, when we don’t listen to the stories, when we don’t pause to build relationships with people outside of our socioeconomic class (deep relationships). We fail to stay at the table, we fail to do ministry, and we fail to BE the CHURCH. So go forth, take the light of the Christ into the world, and park it at a table with someone you don’t know. It will be worth it.